Small Life, Slow Life: My Ultimate Summer Must-Do List! One of the brilliant summer sunsets I had the privilege of photographing in Japan. It’s already the end of June! I can’t believe how fast time has whizzed by. It seems like no time since I quit my full-time desk miserable job, took a month off and began writing full-time! It’s been awesome! I’m also part-timing at a company I have always loved, and feel so happy to be a part of their team (more on that in future posts)! 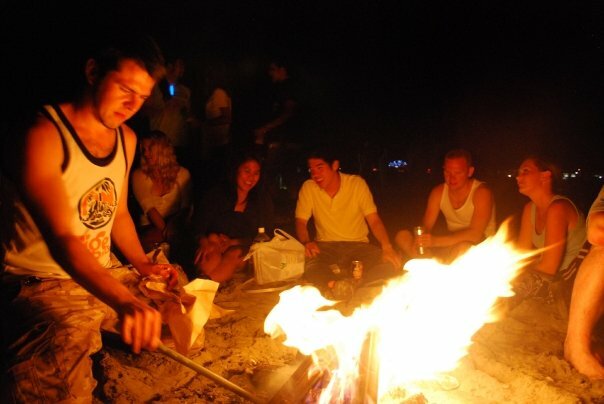 But today, I wanted to make a list of things that must happen before the end of summer! 1. Go to the beach. I live in Southern California and haven’t spent a day at the beach since I moved back from Japan – almost a year and a half ago! Yikes – time to rectify that immediately! 2. Girlfriend time. My friend Elizabeth and I have so many memories of the summers we’ve spent together – going for walks, drinking icy cocktails, sitting outside at 8:30pm while the sun is just beginning to set. I always want to see my girlfriends more in the summer. On this summer’s agenda? Lots of time in the pool/jacuzzi, sitting on Darcy’s cafe-like patio with its pretty stringed glass light bulbs, learning to make refreshing summer food with my brilliant chef friend Marianne. 3. Watch a brilliant summer sunset. 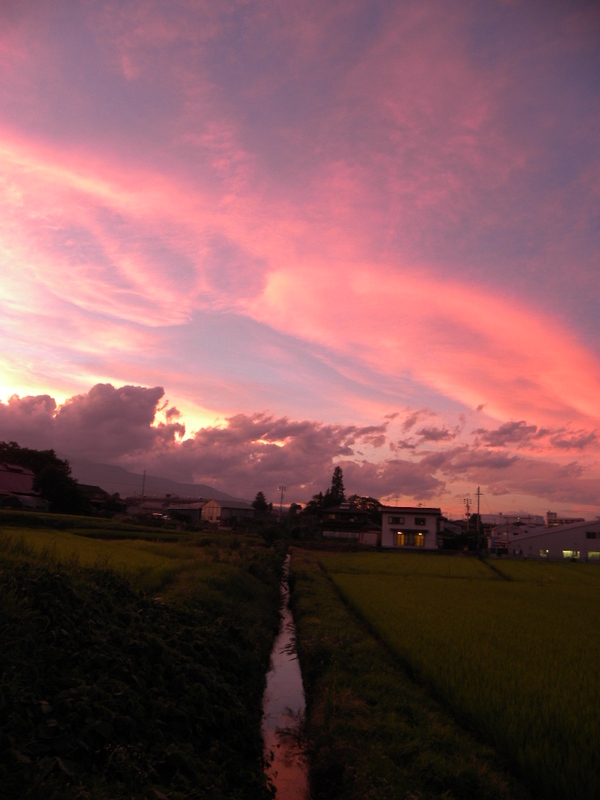 I saw sunsets nearly every day in Japan because I walked everywhere and often had to run errands after work. In LA, I’m lucky if I catch one a week! I want to start making it a point to go outside during sunset time to catch it before it’s gone. 4. Create a summer soundtrack. One of the things I remember most about summers off during high school and college is how I’d spend hours making my summer playlist. I still have some of those CDs! (Summer ’04 is the bomb.) I need to get that playlist together for this summer, ASAP! I’m way out of the loop on new music but I had a listen to the new Jason Mraz and loved it! 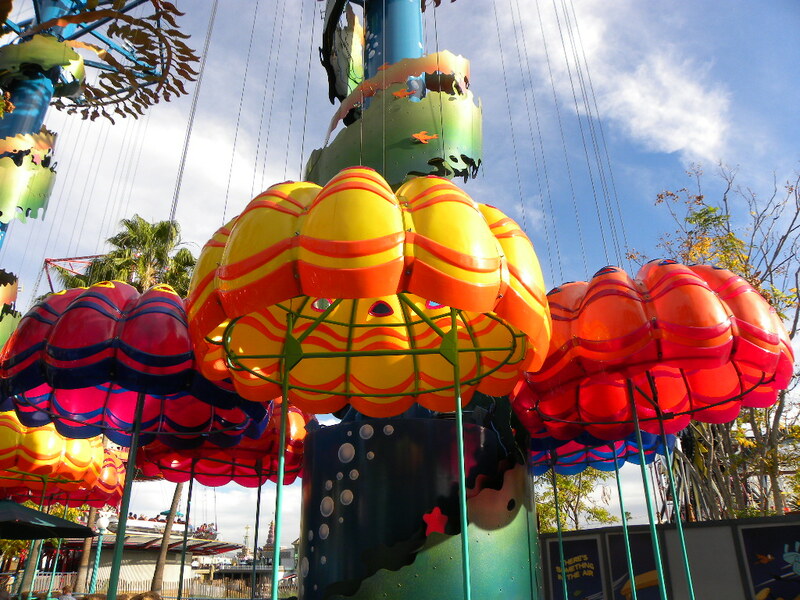 The jellyfish ride at Disney’s California Adventure! 5. Go to a theme park. For me, it’s not summer unless there’s a sweltering day spent at Disneyland or Magic Mountain. My mom works at Disney, so we get to go to Disneyland a lot! But there’s nothing like a churro and a cold beverage while waiting in line at Pirates of the Caribbean. I’d be just as happy going to Santa Monica Pier for a ride on the Ferris wheel, though! 6. Summer photos. Photography was a big hobby of mine in Japan, and most of my computer’s memory is taken up by the thousands and thousands of photos I took there. I want to go for more walks and capture all the pretty July flowers. The Jacaranda trees are in bloom right now, and the sidewalks are covered in purple fleshy flowers. 7. Two words: Iced Coffee! I’m obsessed with it – and I never want it during the colder months. My best friend puts a splash of milk from grass-fed cows in hers and it is SO creamy and delicious. 8. Try new workouts. I work for a fitness company now, and the company generously pays for me to take any two classes I want at any studio per week. That means I can take spin classes, barre classes, trapeze work – whatever I want! I took a really great yoga class yesterday and my muscles are really feeling all the work I did today! Sophie, ready for a walk. 9. Take Sophie for walks. 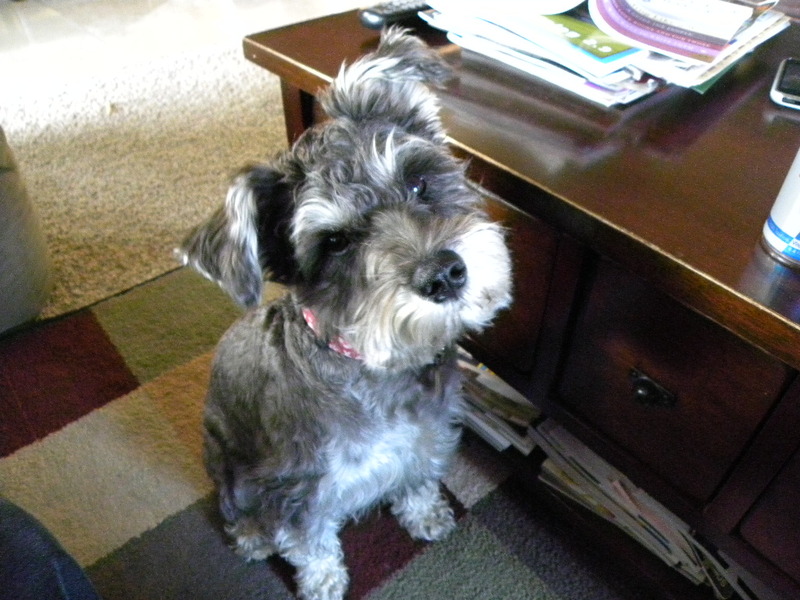 Sophie is my mini-schnauzer and she’s the biggest ball of love you’ve ever met. She loves walking and she’s much better behaved on a leash than she was as a puppy (she’ll even sit at each corner if you tell her to). She loves getting out there and smelling everything, and I love the peace of having an aimless walk with her in the summer. For me, summer is the perfect season to slow down and let the direction of the wind dictate my destination. It’s perfect for listening to music, going on long drives, and catching up with friends over juicy cocktails. I can’t wait to see what the rest of the summer brings! What’s on your Must-Do list for the summer? All good tips! I wish I had a dog to walk these days, but runs with the ipod strapped in at sunset or even just later at night when I’m basically alone are also nice. Also on my list, reading lots of books outside or with the windows open and letting outside come to me. Such a good idea! So many books I want to read this summer too!